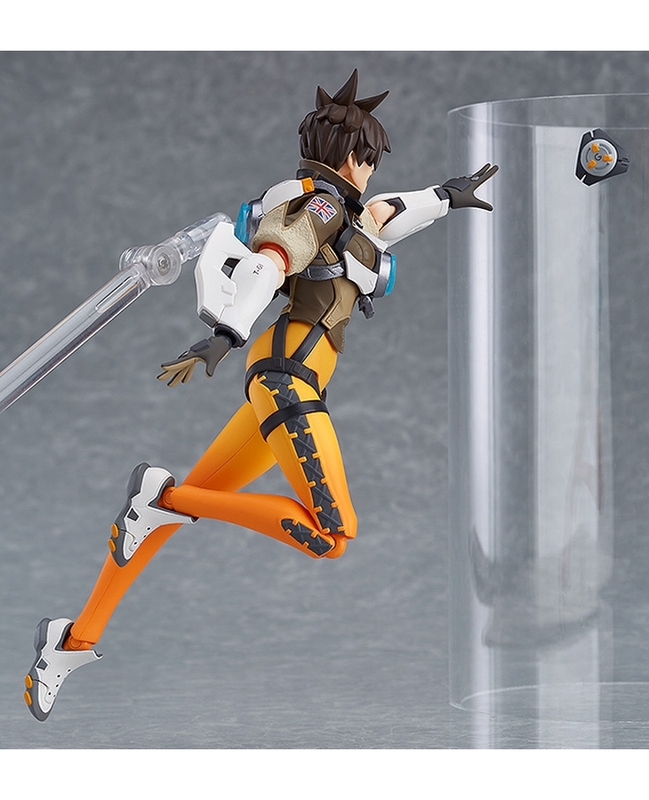 Fans have been asking for collector level Overwatch figures since the game was initially released last year. Some fan were pleased that Good Smile Company was releasing stylized Nendoroid figures, while other hoped for a more traditional action figure. 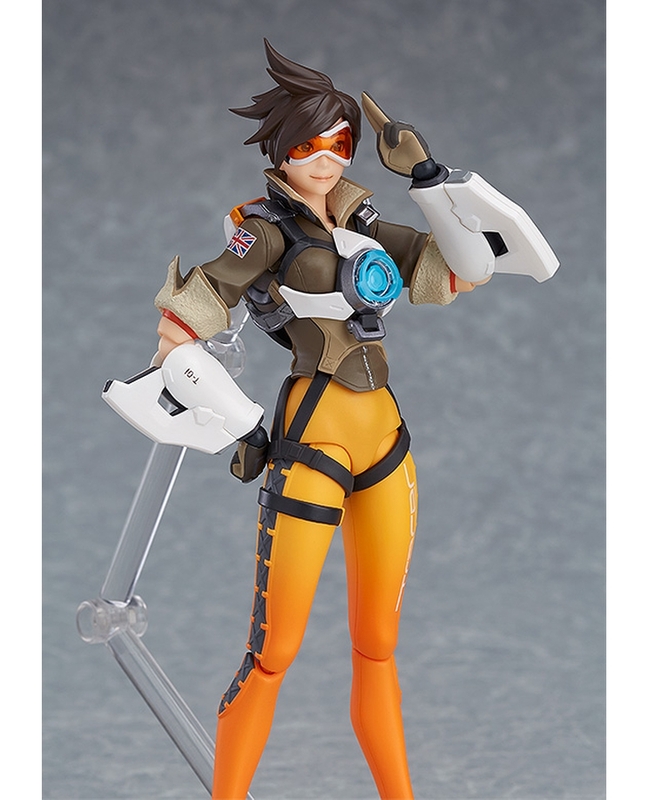 Thankfully, Good Smile Company has come through again, revealing the first Figma Overwatch figure in the fan favorite character, Tracer! The 5.5″ tall figure is fully articulated and packed with all the personality and accessories fans would want. 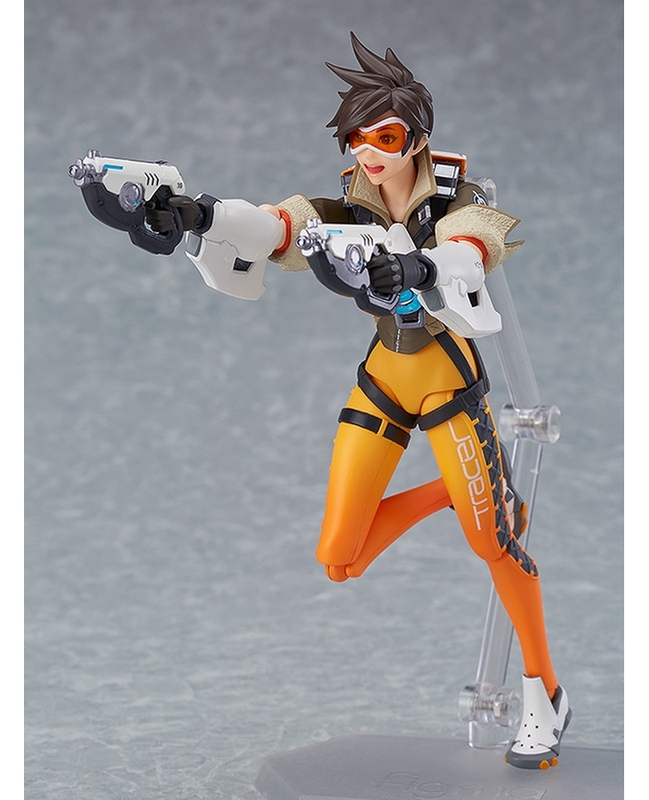 Tracer includes multiple interchangeable hands, three interchangeable expressions (smiling face, an excited expression, and a serious, confident expression), Pulse Pistols, Pulse Bombs and an articulated figure stand. 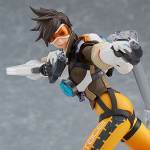 The Figma Overwatch Tracer is available for pre-order directly from the Good Smile Shop. She is scheduled for release in December. 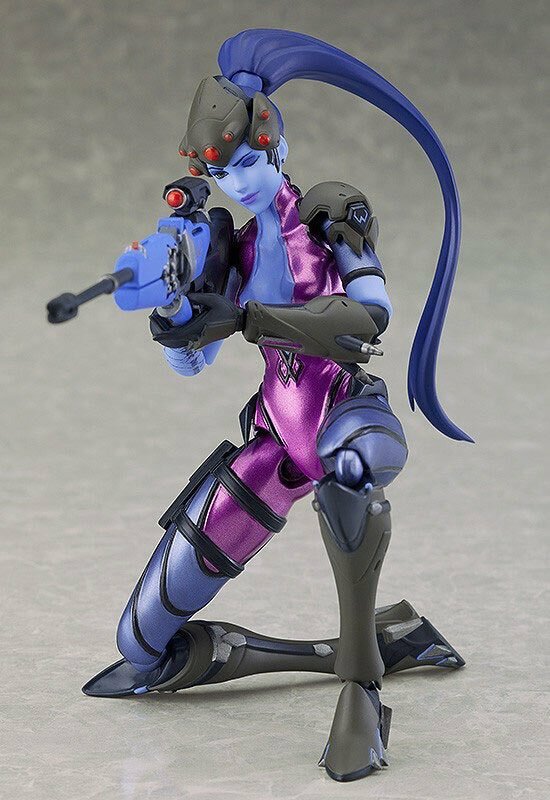 The figure is priced at 6,296 Yen (about $57 USD). You can see all of the photos by reading on. Dammit how I wish some American company would have gotten this license. I'll get this because I love the game and character but thanks to the price of these even if they do more I'll likely not get many. If NECA or another American company had gotten this license I could get almost three characters for what these will want for just one. Well... I know what Santa's bringing me now! Hell yes! Perfect gift for Pride month! This could be a fun line... best get in on it with figure one before it gets too deep and expensive to catch up. Why is article title worded like the writer didn't know who Tracer is? Couldn't help myself, it's done. Pre-ordered. Looks too good to miss. If it helps, I've very rarely heard of too many QC issues with figmas. Hell, I have 11 of them and haven't had any of the problems that I've had with some Mafex and SH Figuarts(ie. loose head on BvS Superman from Mafex and loose head on the SH Figuarts Luke Skywalker). The downside is that figmas are imported and, in many cases, come with large price tags and occasional GoodSmile Company online store exclusives. A good example is the recently released Twilight Princess Link figma. The standard release comes with the typical stuff you'd expect from Link, the Master Sword and Hylian Shield. The exclusive DX Edition comes with those, plus the Ordon Sword, Bow & Arrow, Hawkeye, Clawshot, and Ball & Chain, the latter two having real metal chains. You get pretty good quality and stuff for what you pay for, but they can add up quick. Tracer looks great. This is one of those instances where I don't play the game, but think the character looks cool. Buuuuut...I think it's a pass. If I'm gonna drop money on a character I know little about just based on design, I'm going to have to go with the PAK Aranea Highwind. Sorry Tracer! My wallet took a hit earlier this year when I bought the Figma Pyramid Head, the quality is very nice and it does seem like their QC across the board is pretty good. It is like you said though, the price feels high. 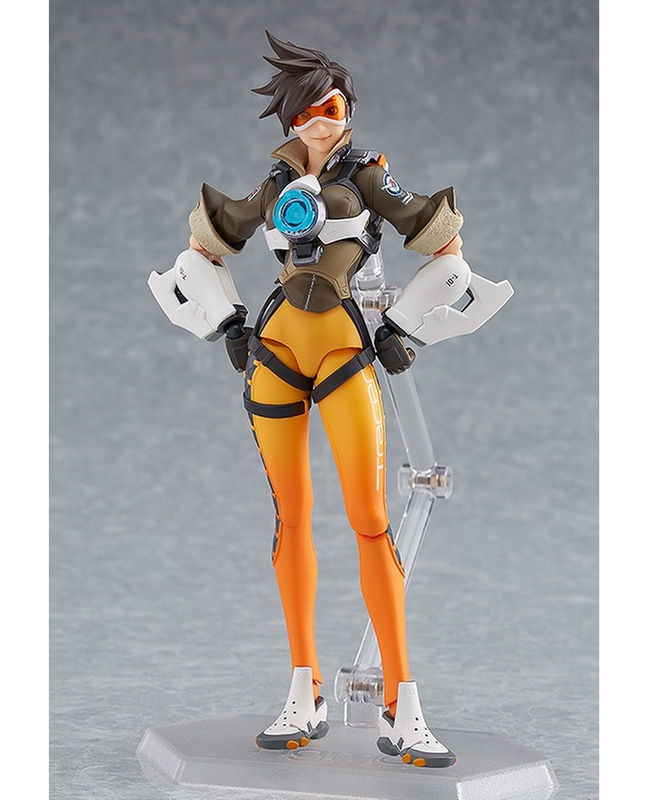 Tracer here is only supposed to be 5.5" tall and she's a thin person so even if she came with something like a blink dash effect piece around $60 plus whatever other charges feels like too much. Even considering other accessories it is hard for me to rationalize it. I'm getting it basically just because no other companies are touching the license in any meaningful way and so while I'm sure it'll be a great figure I'll always feel like I didn't quite get my money's worth compared to other items with similar price-tags. I personally never recommend buying figures of characters that you don't actually know about or like (especially at this price-point). I've heard about people buying a figure because it looked cool only to get rid of it later because eventually it loses that appeal to them or they learn more and find themselves disliking the character. Either way they lost money. To each their own though, buy what you want. Fiona has good QC. But the figures are tiny.. like 5 inches..
Face is a tiny bit off. Wish they'd include more emotive faceplates, like her signature "blowing on her bangs" face (included in her Nendoroid form). Or a super happy expression. Because Tracer is often super happy. Hip articulation seems to be bad. 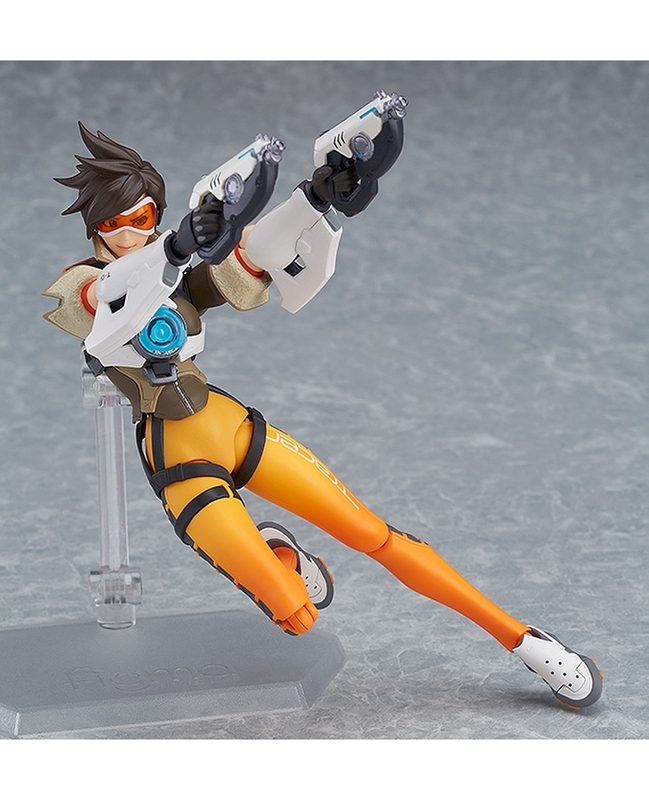 She cannot even reproduce her pose in the Blizzard store statue. Don't even thinking about posing her crouching or sitting cross-legged. It's a nice looking figure, but leaves much to be desired. I hope they make Hanzo figure too since Genji is being made. Wait, he is? Oh man Ive been waiting so long for this line. I will absolutely buy Hanzo. I'll get Ana and Zen and Sombra too. Just give me this line, all of it. I love Zenyatta a lot, he is my main, but I feel like he is the least likely to get a toy since he has so many floating bits. It's easy enough to just have a base for his main body but his orbs would be the real trick. No matter how it would be handled it probably wouldn't look great having that much clear plastic holding that many balls. ^ Whoa... very nice. Widowmaker is the only person I still buy skins for (with in-game earned coins), but I never use anymore since I got both her cute and 16-bit sprays already. I prefer Ana. Just headed over here to share the news that Widow is up for pre-order Someone beat me to it. I can't wait!! 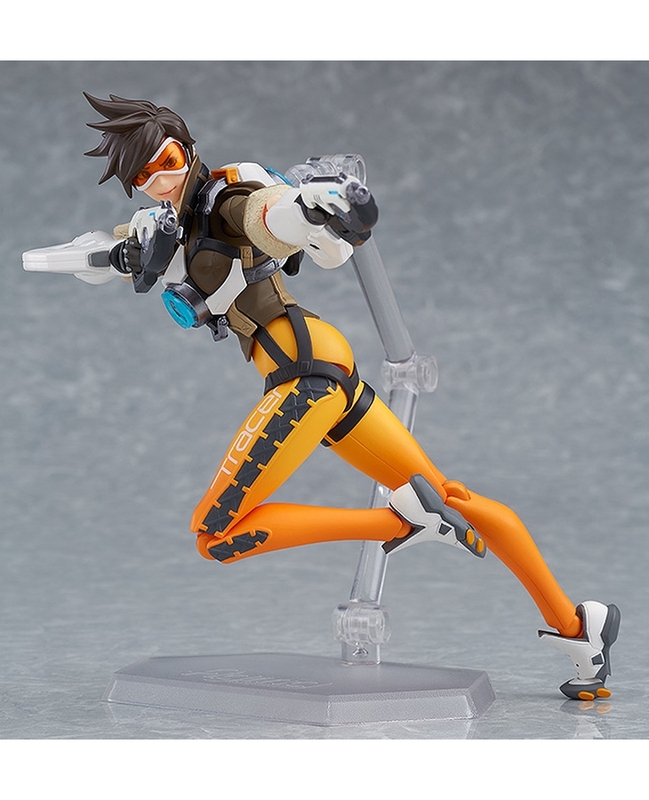 Didn't get Tracer, but really want her! My only gripe is that she doesn't seem to have the articulation at the waist (and she is a bit expensive compared to the normal figma price). Oh well, have time to save up till December ! Looks cool. I hope they do a D.Va + Meka. That would be epic! I know a company named VANZO was doing D.Va but no clue what happened to that?? ?